It may still be February, but spring is in the air and that makes me feel like buying some new makeup colors for spring. Shades of rose, pink and lavender are on my list! We usually want to try makeup colors on before we buy them to make sure they make us look gorgeous. The problem is, we may be exposing ourselves to tons of bacteria by using those makeup testers at the department stores or beauty specialty stores. Creamy makeup, such as lipstick, concealer and cream blush, provides a better breeding ground for germs to grow than powder makeup, such as eye shadow, face powder, bronzer and blush. Forget about trying the sample mascara in the store. It is notorious for bacterial contamination. The only way to ensure a mascara used by multiple people is clean, is to have a makeup artist who uses disposable applicator in control of it. The testers are wiped clean at the end of the day. I have also seen sales people cleaning them during the day on a quiet shopping day. It's different on a busy day, though. There's no time for keeping after the testers and there are many shoppers touching them and trying them. Odds are, the shoppers didn't just wash their hands before shopping for makeup, either. The morning while the testers are still clean from the previous day's end of day cleaning. 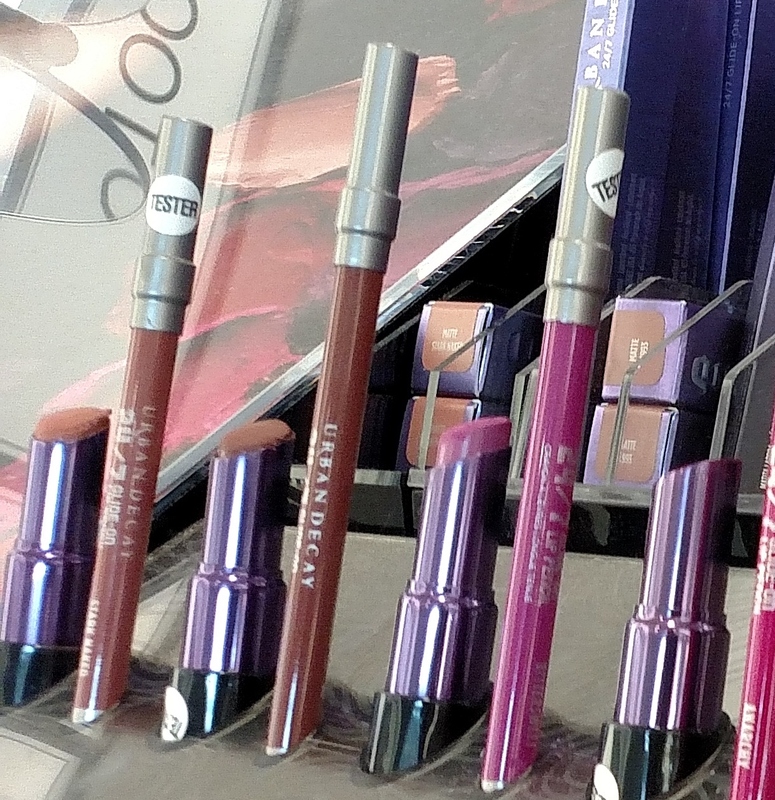 Do your makeup shopping on the less busy Wednesday and Friday mornings! The worst day is easy to guess. It's Saturday. Saturdays are always busy shopping days. There are some other things you can do for safer makeup sampling. Use disposable applicators, not your fingers, to dip into makeup. Test lip makeup, blush and eye makeup colors on the back of your hand instead of your face. Your hand is not usually the same color as your face, but it gives you the general idea of how the color looks on your skin. A foundation really does need to be tested on your face to get a good match. Many foundations are now in pump style packaging. Testers in a pump bottle are safe to use because no hands actually touch the makeup inside. You can to wipe off the outside of the bottle with a wipe if you are feeling particularly germaphobic.... like me.... especially during cold and flu season! I like to keep a pack of anti bacterial wipes in my handbag to use when shopping. I got into the habit of carrying them with me when my kids were little. Let me tell you, they come in handy often! I've used them on door handles, shopping carts, air plane seat belts and those trays on the plane. You get the idea. Concealer also should be tested on your face to insure you get the right color. Many concealers come in a squeeze tube. The squeeze tube, like the pump bottle, helps keeps the makeup free from contamination. Get those wipes out to clean the tip and the outside of the squeeze bottle before trying it. You can also shop at a salon that sells makeup. The makeup artist in charge will use disposable applicators and clean brushes when applying makeup which keep the testers cleaner than the testers in makeup stores.